Melbourne/Geelong based band Sleep Decade blend dream pop, folk and shoegaze in delicately executed, deeply atmospheric songs. Made up of brothers Casey and Monty Hartnett, Thom Plant and Tom Milek, the four piece find a multitude of ways to make expansive, languid sounds fascinating. Warm vocals, looped guitar textures, simple bass motifs and loose, minimalist drumming emanate from the four piece like billowing clouds. Sleep Decade's subtle but dynamic music makes ample use of space, in a way redolent of classic slowcore bands Codeine and Bluetile Lounge. 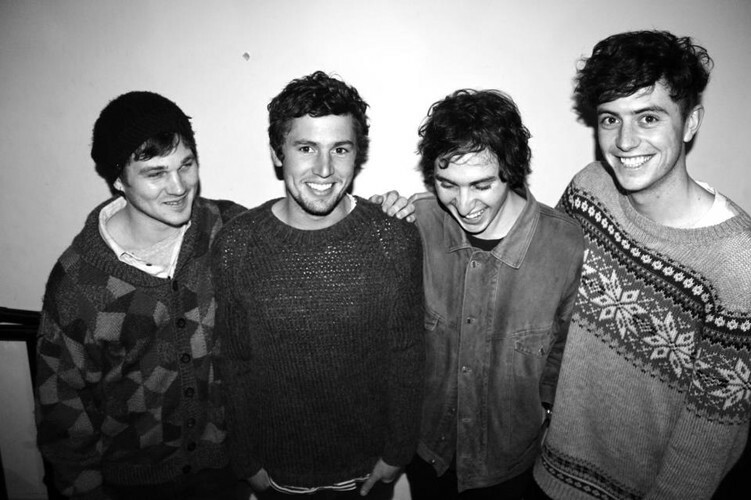 Over the last few years, the band spent time in Point Lonsdale with producer Nick Huggins (Kid Sam, Seagull), where, between surfing and kicking the footy, they recorded their debut LP, Into Spinning Lights, in Nick's family's home. See them as they return home from abroad to play their first show since the Into Spinning Lights launch on Thursday February the 28th with The Primary, ESC, Contrast and the Dj's from Howard at The Grace Darling Hotel.